A Happy Healthy Mummy: Fitspiration - Julia Buckley can transform you! Hands up if you want to join Julia's revolution! You know that mug that reads something along the lines of 'You have the same amount of hours in your day as Beyonce'? Well, you don't have to look to the States to find someone achieving as much - and owning a tight booty too! Meet Julia Buckley, online fitness trainer, author, journalist - and all round inspiration to those of us that want to 'run the world'. But Julia's not one to keep her secrets to herself, having felt first-hand the frustration of putting in miles of running and restricting calories but still being unhappy with the soft, stubborn fat on her thighs, belly and arms (yes, hard to believe if you look at the photos here!!). So she changed how she was working out - going for fat burning and explosive strength exercises and simplified her diet. And then she passed on her wealth of knowledge! Her first book, The Fat Burn Revolution, was launched in the UK in January 2014, published by Bloomsbury and was released in the USA in March 2014. She also runs an online gym - with some pretty amazing body transformation testimonials from people of all shapes, sizes and ages. 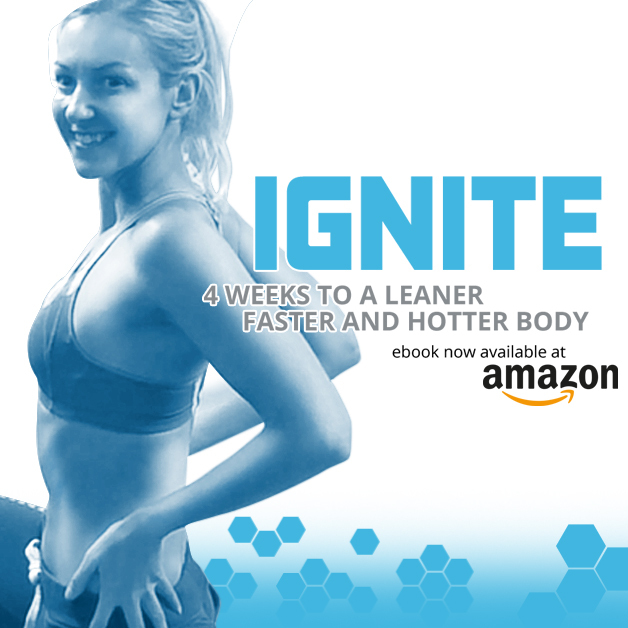 Now Julia has a new book, 'Ignite: 4 Weeks to a Leaner, Faster, Power-Packed Body' - launched this month as an Amazon Kindle exclusive. Ignite features a series of six 30-minute workouts that deliver fat loss and fitness gains after just four weeks. Every exercise in the book has been specially selected to 'throw rocket fuel on your body's fat burning engines', build explosive fitness and target key areas, for tight defined arms, lean sculpted thighs and a flat hard belly. Julia promises a lean, sculpted body and more energy, strength and self-confidence can be yours if you put in the effort. And ignite is ideal for busy mums that are time-short and might not be able to make regular slots at the gym or classes. 'I decided to create a short program of fuss-free, do-anywhere sessions which are easy to slot into people’s lives', says Julia, adding 'not to say they’re easy, they’re actually pretty intense. But they produce amazing results.' Naturally Julia tested the program out before publishing too - so she's confident that readers will see results. Just three weeks post-launch and Julia has had fans contacting her with fantastic progress - dropping weight and improving Parkrun personal bests. I think it's safe to say their year has started on a high! To carry out the sessions you'll need only workout clothes, some space (go on, clear all those toys away!!) - and an interval timer (search for and download a free app for your phone). And expect to sweat - because if the exercises aren't hard - then you've done it wrong!!! If you're already fit - and injury-free - expect to work out for six days - and rest for one. Beginners can go at a different pace. You can also combine Ignite with other regular workouts - or use the exercises as fillers when you need a quick blast away from your usual workout or gym. However you use Ignite though, for it to fat burn - you'll need to push yourself (really push yourself!) for short bursts. The book also has tips on healthy eating and motivation. But we all know it's not just having the time, place and methods that make for a successful fitness overhaul. I asked Julia what the single most important thing people can do for their health in 2016 was. Her answer was to set 'some solid goals' - and then explained that you will only achieve them if you 'commit yourself to achieving them and be ready to make the actions you take and the choices you make match those goals.' I think we can see Julia's programme isn't one of those full of ridiculous promises - claiming that weight loss and getting shredded is easily-achievable through drinking a juice cleanse or wrapping your body in thin plastic foam and sitting on the sofa (I'm pretty sure sitting on the sofa won't get your anywhere)! I like the fact there's generally a move away from New Year's Resolutions towards goal-setting - makes it seem more achievable. Thanks for commenting. 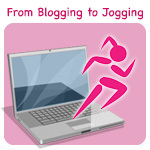 Hi - yes it's a great linky - and great when blogger content areas cross over as there's so much to learn about health & fitness!! I think having goals and blogging about them is motivating too. Hi Morgan - thanks for commenting. Yes, Julia is pretty inspiring - and I like the way you can work through the book at a pace that's right for you too.